Life is slowly getting back to some sort of normality after Roger's funeral at the end of October, and we're working out what that looks like now, without our weekly visits to his house for Friday fish and chips or Sunday roast dinner. 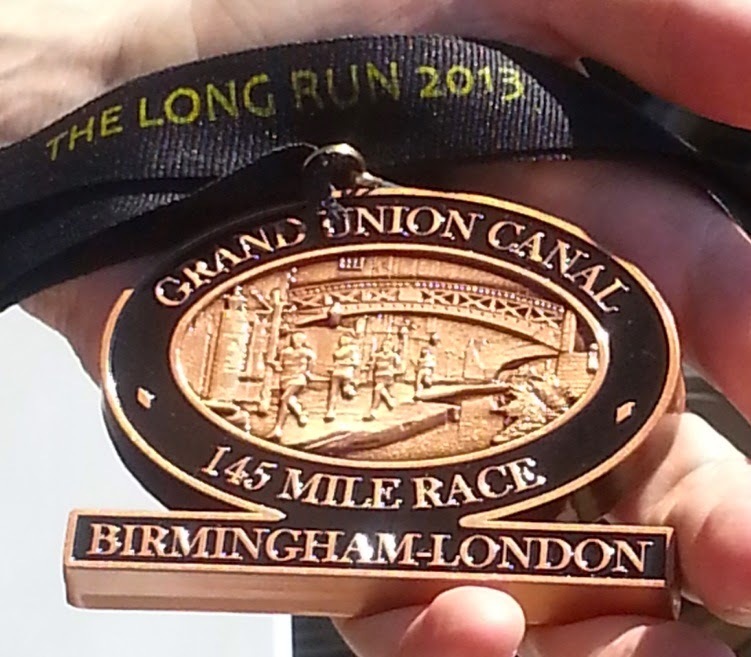 As part of the getting back to normal, my training has restarted and I've been booking up races for my 24in12 challenge, that I'm completing in Roger's memory, to raise money for the Saint Francis Hospice. 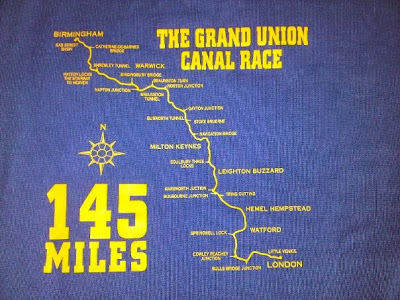 Having completed the first event of my 24 at the Chelmsford Marathon, I've signed up for another 19 events so far between now and August next year...and the biggest of the lot was confirmed yesterday when I heard I had a place in the iconic Grand Union Canal Race!! 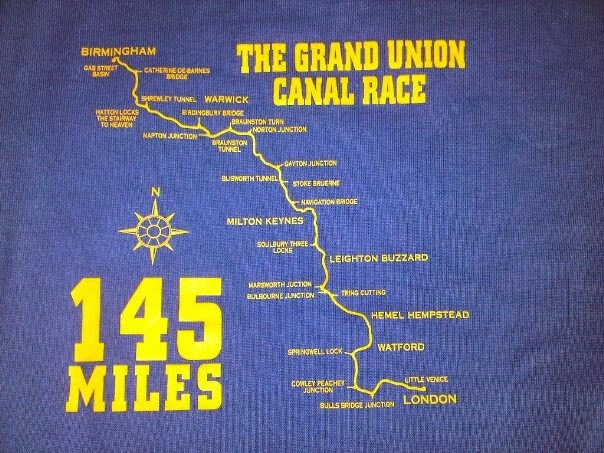 It's 145 miles (although more like 148), non-stop, in under 45 hours, from Birmingham to London, and I'll be running as an unsupported runner (bar the incredible support at the aid stations from the race organisers and volunteers). It's absolutely epic. To be honest, it was a bit of a surprise to get a place and I'm a little overwhelmed with the reality of it - I'd put in my application for the ballot without much expectation of getting picked. However, the draw took place on Monday night, and I realised I was on absolute tenterhooks waiting to find out the result...I knew then how ready I was for this to happen and I really wanted a place! Then, at twenty past ten last night, the email I'd been waiting for finally arrived to say, yes, I was in! I know quite a few incredible runners who have got a place too, and I feel very lucky to have the privilege of running with them, and it just feels like it's going to be an incredible event to be a part of. I am very excited, although obviously terrified too! So, here I am, and this time, I don't think I can wing it. I've never really done enough training for my events, nor do I feel that I've ever given myself the chance of completing them to the best of my ability...that's why I was so injured after the 10in10, and why I collapsed at the end of last year's TP100. Overweight, undertrained, just turning up and trying my best- I think I've been lucky to have enough natural ability to get me round in the times I've posted. I don't want that to happen this time, and I don't want to look at the photos afterwards and be the lardy one in the lycra. 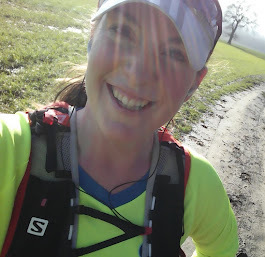 I want to look, and feel, like I belong in the ultra running world, I want to be proud of the effort and commitment that took me to the start lines, and I certainly can't end up injured - I don't have time for that! This means I have to pull my finger out - stop lazing around on the sofa watching TV and stuffing my face with crisps and chocolate after taking the dog for a walk, before going on a cursory 6 mile run and thinking I've done my best for the day. I have to focus on my nutrition, on losing the extra weight I'm carrying, and actually doing the training that I plan, on the bike, in the pool, on the trail and on the road. Today, is the first day of a new me. A me who is focused on the end goal, and who is willing to make the sacrifices I need to, to make a success of my races. To be the best I can be! Sometimes it's not how hard your train but how smart you train. I really recommend you to read Phil Maffetone's Big Book of Endurance Training and Racing asap.